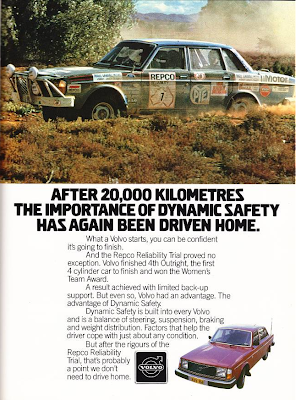 The 1979 Repco, often known as the Repco Round Australia, was a 14 day car trial circumnavigating the island continent of Australia. 167 crews started the event with 92 classified as finishers, however only 13 cars completed the entire route. The final results are provided here. 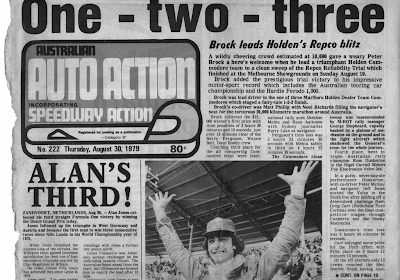 The stunning 1-2-3 finish by the Holden Commodores, headed by Australia's best known driver, the late Peter Brock, was the public story of the event, however the countless other stories of competitors, service crews, organisers and spectators are not widely known. Many consider this to have been the last great round Australia trial. As was written on the back cover of Bill Tuckey's book, An old dog for a hard road, "The 12th round-Australia motoring event run since the first (1953) Redex, the 1979 Repco is now acknowledged as the toughest long-distance rally since the continent-to-continent epics of the first decade of the 20th century." Like earlier round-Australia trials and the London-to-Sydney epics of 1968 and 1977, crews were expected to drive virtually non stop for days at a time with limited rest breaks. Nowadays this would be considered irresponsibly dangerous. The subsequent Mobil 1 Trial in 1995 and Playstation Round Australia of 1998 were necessarily quite different types of events, largely as a result of safety concerns. 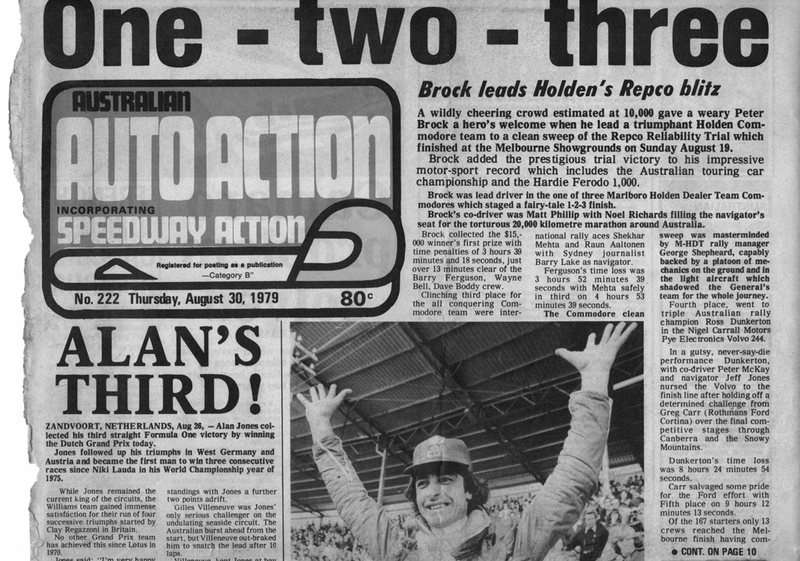 As the Mobil 1 Director Bob Watson observed, "The event equalled the Repco for length, at 20,000 kms, but took three weeks because CAMS rightly insisted on more rest breaks for crews". 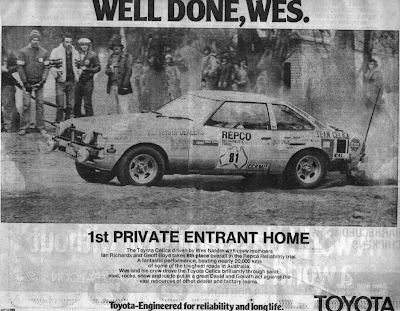 The Repco was run during what many consider to have been the golden years of Australian rallying, where many events were arduous and challenging. Events such as the international Southern Cross Rally typically comprised several throusand kilometres of competive stages over four days, making a modern WRC even seem like a bit of a picnic. In this tradition, the intensity of competition and the difficulty of the terrain covered in the Repco was unprecedented and set it apart from earlier round-Australia events or the London-to-Sydney marathons. About 41% of the Repco route was competitive and quite a lot of the remainder was not on sealed highways. As such, no subsequent road rally event has reached the level of toughness of the Repco. 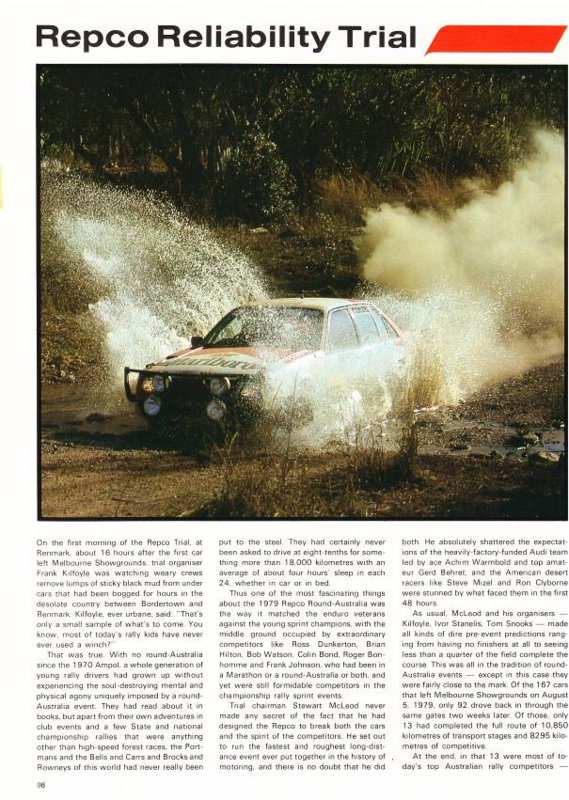 In the modern era, the Repco is comparable with rally raid events such as the Dakar, although being run for 4WD vehicles (and in some cases motorbikes), these events can tackle even more challenging terrain. 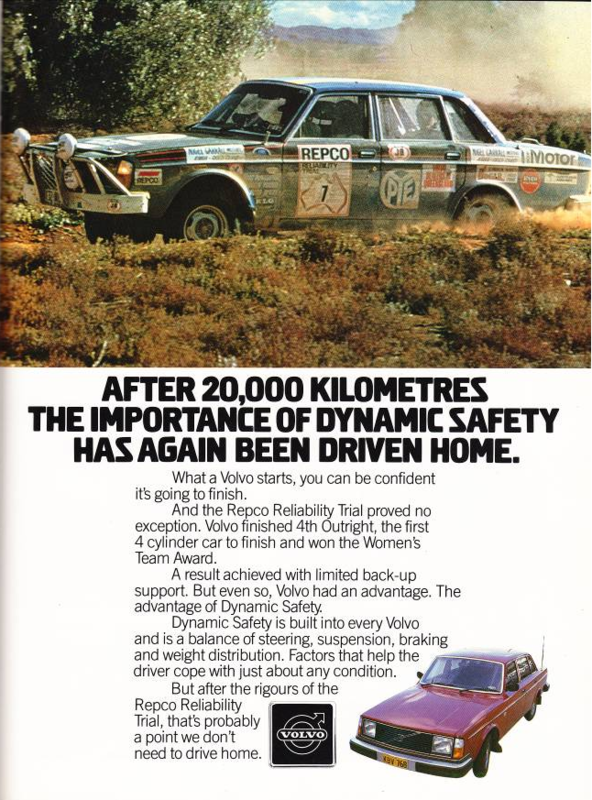 Nevertheless, some of the terrain in the Repco would not have been out of place in a modern Dakar Rally despite the fact that all cars were 2-wheel drive. The route is shown on the map below. 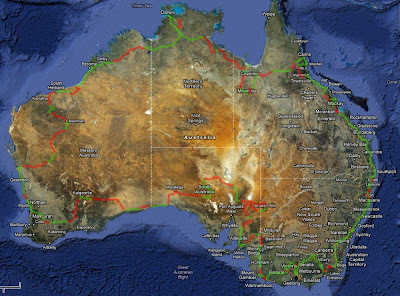 It is approximately 19,000 km and comprises both competitive sections (shown in red) and transport sections (green), the latter in theory being easily able to be completed while driving at a fairly sedate pace on normal public roads with many other road users. In modern lingo these are called liaison sections. In fact some of the competitive sections were designated as special stages, timed to the second and on closed roads, but most of the competitive sections were on remote, albeit non-closed roads, and were timed to the minute. Click on the map to go to Google Maps where you can zoom in to look at the route in detail including exact control locations. The total distance of the event 'as run' was 18,616 km of which 7,580 km was competitive (of which 281 km was designated special stages, the remainder were trial stages). Therefore the competitive stages comprised 41% of the overall event. It comprised 6 divisions and a total of 134 stages, of which 13 were designated as special stages, 45 as trial stages and 76 as transport stages. The average speed across the competitive stages was about 84 km/h but this is somewhat misleading as some stages were so easy that cars were up to an hour early. It is therefore not really possible to judge the overall average speed. The average speed across the entire event was 79 km/h but this includes some of the time allowed for service and refuelling. Further details of the route, including detailed descriptions of all stages, are provided under each Division. There were relatively few restrictions on vehicles but they had to be 2 wheel drive and of course had to be roadworthy and registered. Most components were able to be modified. Perhaps surprisingly by today's standards, required safety equipment was fairly minimal, including a roll cage. Due to the challenges of carrying a crew of 3 and for gate opening, many crews opted for normal lap-sash seatbelts rather than full harnesses. No special clothing was required and helmets were certainly not required (and almost no-one used them). All crew members had to be in the car at all time during competition. If a crew member dropped out they could not rejoin later. There was therefore no opportunity for resting crew members by overflying and there were spot checks at various points. Work on cars, including the use of outside assistance, was permitted anywhere except in controls, which included the parc ferme at the end of each division. Cars were released from parc ferme one hour before their due time of departure to allow for servicing. While all the route instructions were fully tuliped, instructions on Transport Stages were advisory, which meant that mistakes in those instructions were not a basis for complaint! Timing was strictly point-to-point between major controls, either to the second (on special stages) or to the forward minute. Competitors accumulated time penalties in hours, minutes and seconds for lateness relative to the target time for each stage (there was no distinction between trial and transport stages). Upon early arrival crews could nominate their due time, otherwise early arrival incurred penalties also. Competitors had to report to controls within their overall late time limit on each division or would be deemed to have missed the control. A progressive late time limit was used whereby the allowed overall lateness was increased at key points, typically from 2 or 3 hours initially, up to 6 or 7 hours late in the division. Competitors close to their late time limit could book in early in order to regain late time, often by skipping controls. Competitors who entered a major control from the wrong direction or missed a passage control (used to check that the correct route was followed) were penalised up to 4 hours. This was also the maximum time penalty on any stage although a small number of stages had a 1 hour maximum penalty. Placings were determined initially by the number of controls missed and then by the total time penalty so in practice, the outright results were among those who visited all major controls within their late time limit. The event received considerable media coverage at the time, often for the wrong reasons, such as the tragic double fatality on the Gibb River Road in northern WA. 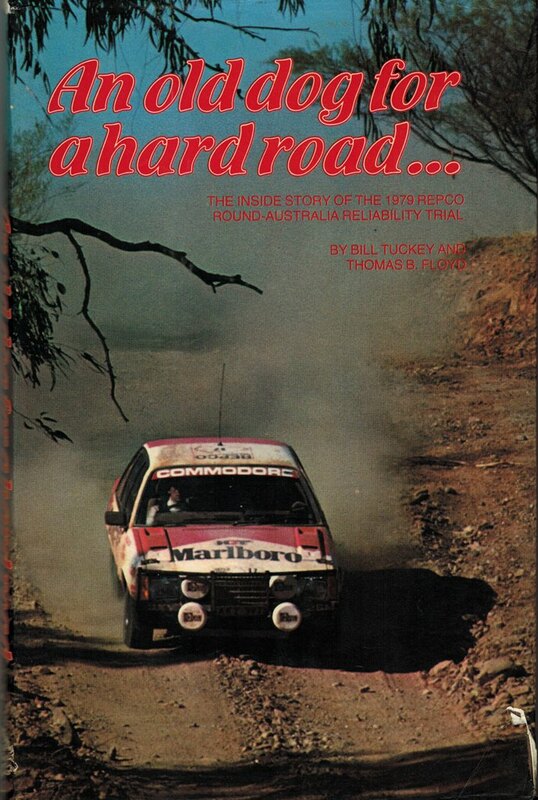 Several books were published after the event, including An old dog for a hard road by Bill Tuckey and Thomas B Floyd, and Challenge Australia, by Candy Baker. Tuckey's book was written very quickly in the weeks after the event with a view to capturing the interest while the event was still fresh in people's mind. It is unashamadly about the media coverage and contains many stories about the media contingent's travels, but its coverage of what actually happened to competitors is full of errors and omissions. Baker's book was written more sedately, with considerable research and input from many competitors and is therefore a much more accurate account of what actually happened! The ABC made a documentary about the event which is available on YouTube. It has some fabulous footage and certainly captures the spirit of the event but because it contains hardly any night time coverage it fails to tell the true story of how the event was won and lost. Many of the decisive moments are just not mentioned. There was considerable coverage after the event in the various motor sports newspapers and magazines. I'd like to thank Ian Richards for compiling all this info into this website. A monumental effort in keeping with the Repco tradition.